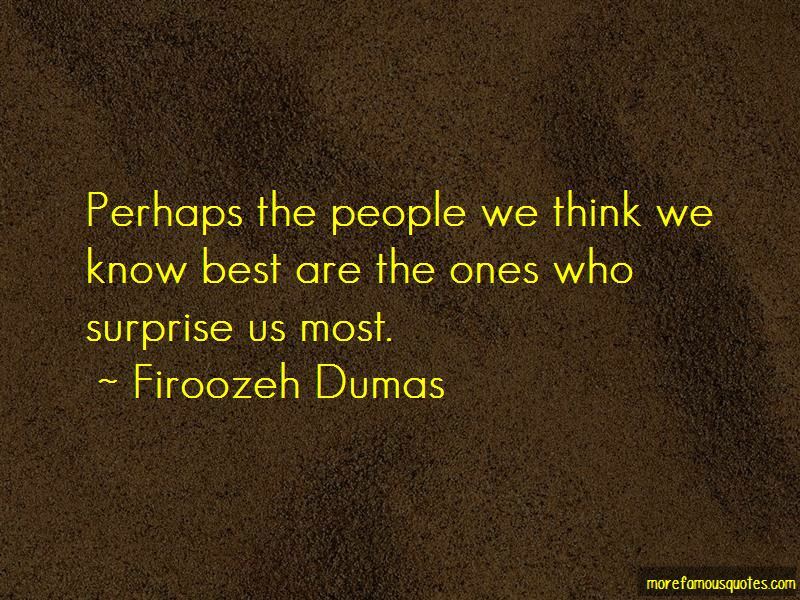 Enjoy the top 29 famous quotes, sayings and quotations by Firoozeh Dumas. “Ever since we had arrived in the United States, my classmates kept asking me about magic carpets. The more modest and impractical the kitchen, the more likely one will be invited to stay for a meal. Show me a fancy house with a top-of-the-line gourmet kitchen, and I'll show you a family that eats out a lot. The bible is foreign to me, but its concepts are not. My father always said that hatred is a waste and never an option. He learned this growing up in Ahwaz, Iran, in a Muslim household. I have tried my best to pass the same message to my children, born and raised in the United States. Ultimately, it doesn't matter where we learn that lesson. It's just important that we do. It's not what we eat or don't eat that makes us good people; it's how we treat one another. As you grow older, you'll find that people of every religion think they're the best, but that's not true. There are good and bad people in every religion. Just because someone is Muslim, Jewish, or Christian doesn't mean a thing. You have to look and see what's in their hearts. That's the only thing that matters, and that's the only detail God cares about. I always made sure to put them back in the exact order in which I had found them, for fear of losing the privilege of browsing in my uncle's library. 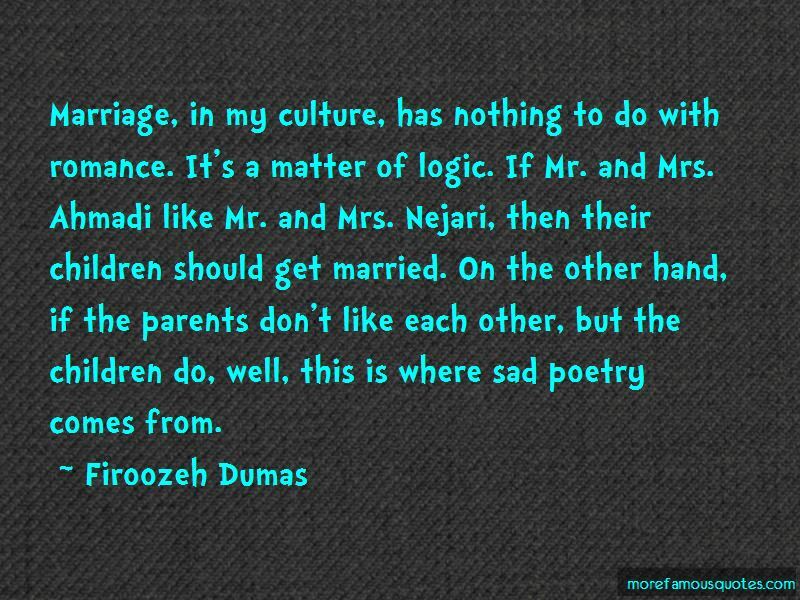 Marriage, in my culture, has nothing to do with romance. It's a matter of logic. If Mr. and Mrs. Ahmadi like Mr. and Mrs. Nejari, then their children should get married. On the other hand, if the parents don't like each other, but the children do, well, this is where sad poetry comes from. Without my relatives, I am but a thread; together, we form a colorful and elaborate Persian carpet. 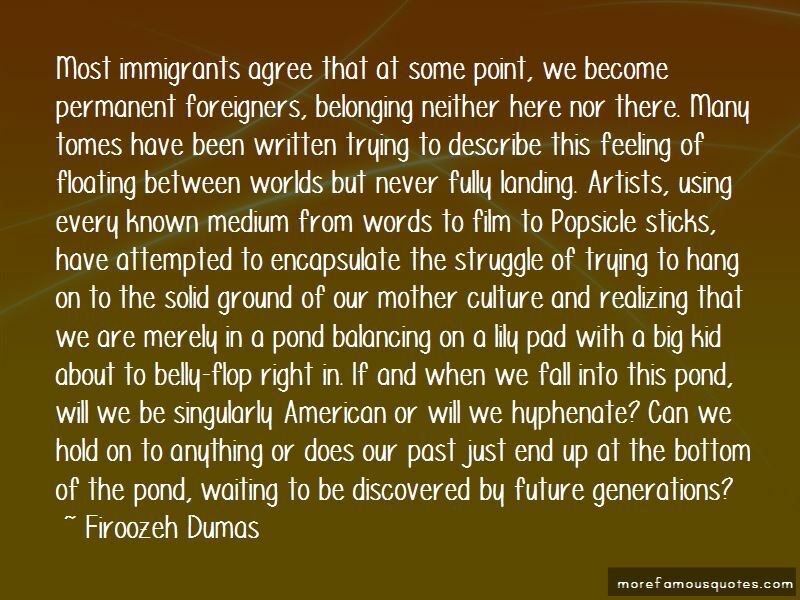 Want to see more pictures of Firoozeh Dumas quotes? 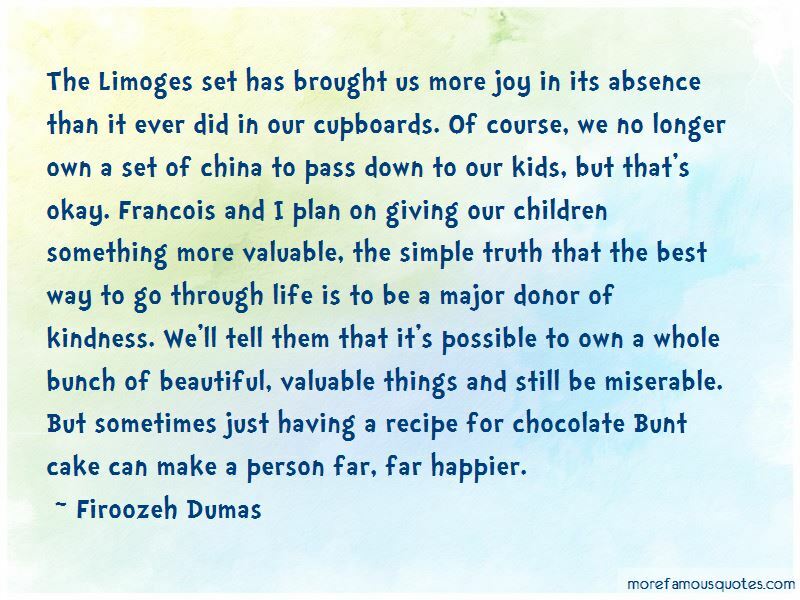 Click on image of Firoozeh Dumas quotes to view full size.